Today’s business is dynamic. Companies strive to maintain the traditional operating model that served them in the past, while at the same time aiming to provide continuous value to customers. But as market needs change, IT departments realize that this traditional model is no longer effective. In fact, refusing to adapt can stunt an organization’s growth. IT transformation should follow the lead of the business, and modern infrastructure must keep pace with today’s ongoing digital transformation. For expanding enterprises with a global presence and growing workforce, stepping up to the cloud is a next-step alternative. With multiple time zones, varied peak hours of usage, and different compute availability, the infrastructure must be ready and available for continuous use. Moving applications and workloads to the cloud enables the access and flexibility of on-demand compute. 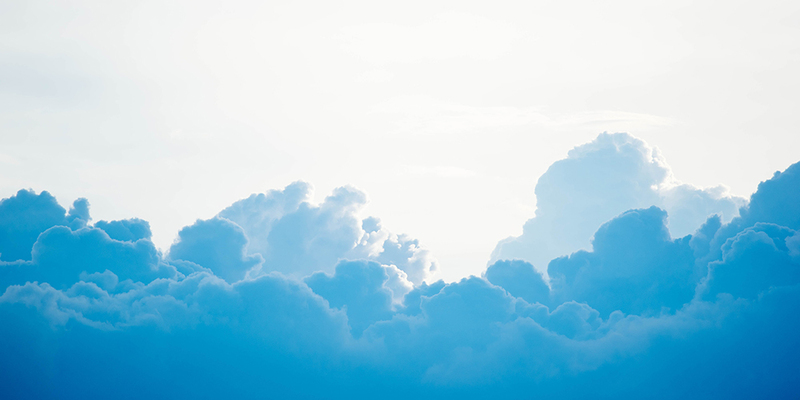 Can a cloud strategy scale workloads securely? While a public cloud approach is enticing, businesses need to consider the downside: cost for on-demand compute and other resources as well as security aspects. Turning to private cloud can reduce costs and data security risks, but how can it quickly scale according to business direction and needs? Can a private cloud host all the workloads you need and do so efficiently? An ideal platform to host a variety of workloads, a private cloud strategy can readily power your infrastructure to serve your business needs, customers and global workforce. The task of then finding a hardware platform which has the portfolio breadth to also support a variety of workloads as well as one that is quick to setup, deploy and manage can be challenging. A compact, modular server platform approach can lend itself well to fast scalable node growth with a variety of mix-and-match options. It also removes the need for operational silos, allowing IT to deploy the configurations they need for each application. Principled Technologies conducted a variety of studies demonstrating a variety of workloads in an on-premises, private cloud environment. They chose to deploy Dell EMC’s PowerEdge FX platform to determine if it could meet the needs rapid business growth and IT agility. From distributed database workloads to ease of configuration and management, reports showed how an effective private cloud strategy can increase business results and help you with IT transformation which keeps pace with business needs. Using the latest 14th generation Dell EMC FC640 server sled, the PowerEdge FX easily delivered almost 9.5x higher performance running database workloads[i] in a private cloud. Big data processing tasks in a private cloud also showed great benefits, including 36 percent more throughput[ii] and 26 percent reduction in time[iii] versus a public cloud setup. Managing a private cloud also provided savings of up to 34% faster management[iv], enabling IT to configure and deploy faster. The PowerEdge FX 2RU (rack-unit) platform allows IT to grow quickly while helping scale business performance. It features a choice of server node types, from one-socket to four-socket processors and up to 28 cores per processor. IT administrators can readily mix and match processors, storage and networking, customized to their workload needs. Boost compute power for demanding workloads (up to 144 cores per rack unit[v]) and storage (up to 48 drives in 2RU) easily in 2RU. The FC640 proved its ability to drive these demanding workloads and help IT scale operations to support on-demand growth. With the onboard Chassis Management Controller (CMC), IT administrators can manage all components in each FX chassis with a simplified user interface and up to 10 chassis in a single group. The PowerEdge FX architecture is purpose-built to be extremely configurable and customizable, as well as ready for pay-as-you-grow operating models that enable you to be flexible without being locked into traditional silos. Lastly, the PowerEdge platform features a cyber-resilient architecture, integrating security into the full server lifecycle. The PowerEdge FC640 provides new security features as part of the overall architecture, including secure firmware operations and data integrity. These additional layers of security enable data to not only stay within the business but also within the infrastructure, and even within the chassis, for secure, contained deployments. As businesses grow to support digital transformation, IT must keep pace with infrastructure and operating models to serve demanding workloads and global growth. A private cloud approach can readily help, supported by an architecture suited for fast expansion while helping the business maintain data security. Principled Technologies highlighted the Dell EMC PowerEdge FX and 14th generation FC640 server as a solution to help IT address the challenges of transforming the infrastructure. To learn more about speeding up business results by processing data faster with Dell EMC, click here. Read more about Principled Technologies white papers and resources here. Learn more about Dell EMC PowerEdge FX and PowerEdge FC640 here.